The Shore area will largely dodge a snowy bullet on Wednesday, with an early-morning forecasts showing the entire region receiving an inch of less of snow. 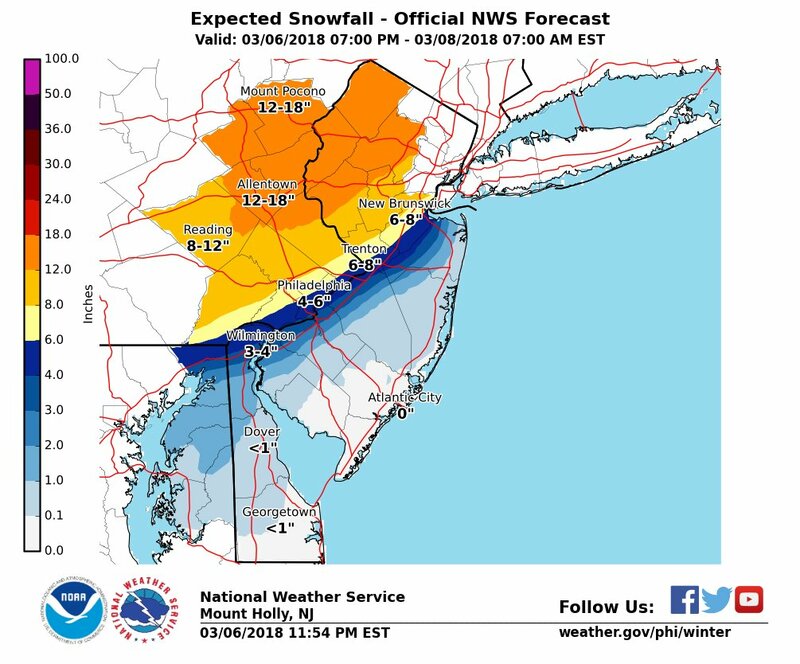 North Jersey, however, is likely to be battered with more than a foot. Locally, the storm will mainly be a rain, wind and coastal flooding event, according to the National Weather Service office in Mount Holly. It will be rainy with a high of 42 degrees Wednesday, and any flakes that mix in overnight will have been cleared away by morning, according to forecasters. Winds could gust as high as 37 m.p.h., the NWS forecast said. Rain will continue before 8 p.m., according to the forecast, then a chance of snow will arrive. The snow, however, will amount to a half-inch or less, and the overnight low is forecast to remain just above freezing. A coast flood advisory is in effect until 6 p.m. Wednesday. Roadway flooding is expected. Some roads, including Route 35 in Toms River and Bay Boulevard in Lavallette, continued to be flooded since last week’s nor’easter. Seas are expected to build to 10-12 feet Wednesday and Wednesday night, the NWS said.